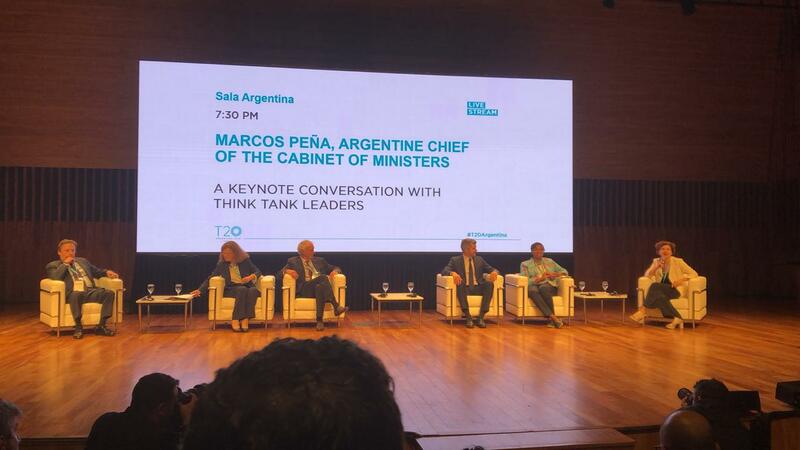 Marcos Peña, the Argentine chief of cabinet of ministers, held a conversation with international think tank leaders during the closing of the T20 Summit in Buenos Aires. “I’ve read the Communiqué and it was very interesting that such a very large group of think tanks have done this work. We feel proud of the T20’s work,” said Peña. When responding to the experts’ questions, the chief of cabinet underlined the government’s commitment to institutionality, stability and the importance of investment into social protection to achieve the objective of inclusive growth. He added that the relevance of a gender-perspective is “obvious”. On the stage he was joined by Julia Pomares (Executive Director of CIPPEC), José María Lladós (Executive Director of CARI), Nora Lustig (from Tulane University and Director of the CEQ Institute), Colin Bradford (Senior Fellow at the Brookings Institution) and Margo Thomas ( Gender and Growth Initiative Fellow at Chatham House). The T20 Summit brought together over a 1000 participants from 68 countries. 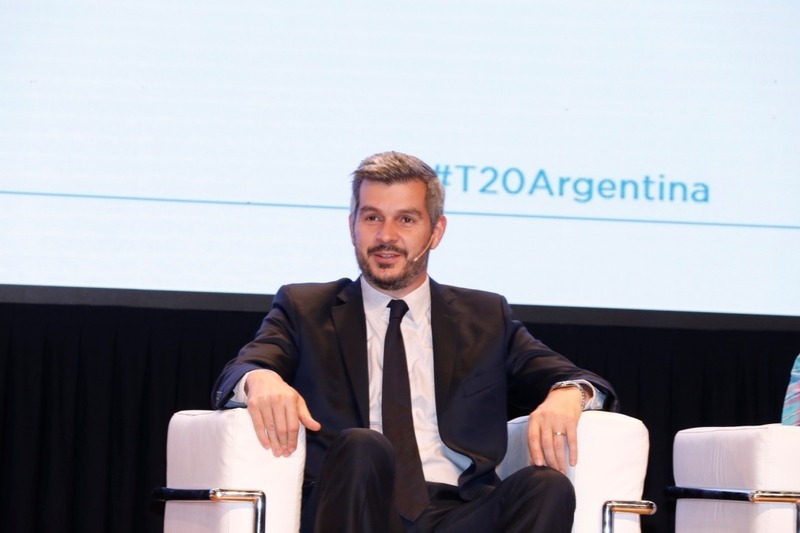 On Monday morning, Think 20 (T20) officials presented President Mauricio Macri with the Communiqué, a document with the engagement group’s vision and public policy recommendations. The aim is to contribute to the G20 Leaders’ Summit at the end of the year. Additionally, the engagement group’s final event was an opportunity to strengthen the discussions of relevant topics in the Think 20’s framework and look to the future of the open and independent network of think tanks. There were 54 sessions at the event in which over 170 speakers took part.